The followings terms of agreement form part of the agreement, wherein we - the contractor, undertake to install a Tile/Slate roof, GRP/Fibreglass roof, roof repair, etc as stated in the quotation. For the purpose of these terms and conditions reference to "we", "us" and "our" refer to TA Roofing's, the contractor submitting this quotation, and reference to "you" and "your" means the customer/client whose details are listed in this quotation. 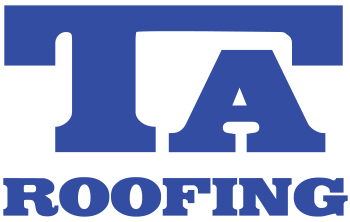 TA Roofing Ltd will provide free of charge written quotations to clients for works requested. TA Roofing Ltd carries out SURVEY for the client as per instructions. All SURVEYS are subject to charge - £195.00 + VAT, which is refundable if instructions is given thereafter to complete the required works. QUOTATION is works carried out as cost quoted unless the client/customer specifies extra work. ESTIMATE is cost estimated for works, which may be subject to change if unknown conditions arise. Instructions detailing acceptance for client is required in writing before works commence, either written letter or via email. We require written acceptance 7 days prior to the works commencement date, within this 7 day period the client has the right to cancel the order. The contract between TA Roofing Ltd and the client is valid for 8 - 12 weeks from the quotation date. After this time it may be necessary to re-quote due to increase cost of materials. After written acceptance of Quotation has been received by TA Roofing Ltd, if materials or labour cost increases are incurred by TA Roofing Ltd, this will not be passed on to the client if written acceptance is made within 8 - 12 weeks of Quotation date. Where possible, the works will commence on the date agreed and will be completed in most cases, subject to weather, within a reasonable timescale. Where detailed dates for commencement are presented, the contractor reserves the right to re-schedule works where delays have been incurred through adverse weather. Please NOTE that works involving GRP roofing systems cannot be installed below 8° C (5° under certain circumstances) or in wet or high humidity weather so installation dates may be subject to change due to weather conditions. Once works are commenced if you delay completion or hinder progress of the work through lack of access to the property, we - the contractor will be entitled to charge reasonable costs for expenses that have been incurred through your action. TA Roofing Ltd cannot be held responsible for extension of specified times on contracts due to delays caused by additional instruction by the client, third parties, unavailability of materials from third parties, adverse weather conditions, explosions or circumstances beyond our control, *force majeure. Any materials on site in conjunction with each contract remain the property of TA Roofing Ltd, until payment is made in full. All materials of works damaged by third parties remain the responsibility of the client whilst works are in progress. Client must pay for any damage/loss of materials or works by third parties unless valid proof is produced that TA Roofing Ltd have been negligent. You agree to give us all necessary access to your property so that we can undertake the work to the agreed schedule. If access is required to your neighbour`s or adjacent property, it is your responsibility to obtain written permission and provide us - the contractor with a copy prior the commencement of works. You also agree to facilitate the use of all mains services including electricity and water so that we can carry out the works. LOCAL PLANNING / BUILDING CONTROL CONCENT: If any planning authorisation is required for the work, this should be obtained by you prior to the commencement of the contract (if not included in this quotation). b. where the old "decking" is removed from an existing roof prior to the new flat roof being installed. Should you choose not to upgrade to the recommended insulation / thermal value, you hereby confirm that you do so entirely at your own risk and absolve TA Roofing Ltd from all liability therein. All invoices are strictly NET and are due for payment within 7 - 14 days of invoice date unless otherwise agreed. Any invoices unpaid 40 days after invoice date will be subject to an interest charge of 2% above base. Payments can be made either by BACS or Cheque payable to TA Roofing Ltd and quote the Invoice number as Reference. TA Roofing Ltd carry full Public and Employers Liability Insurances, Health & Safety Policy and Risk Assessments where necessary. Public Liability Insurance of £5,000,000.00, Employer`s Liability Insurance of £10,000,000.00 and Contractors All Risks of £300,000.00. Contractors with retention clause must have conditions specified within the contract. All conditions stating 5% retention to be held on each invoice with 2.5% being released on completion must be paid within 7 - 14 days of the final invoice. The final 2.5% remaining to be paid after the 6 - 12 month defect has ended, must be paid at that time provided no defects are found within TA Roofing Ltd workmanship. Guarantees issued by TA Roofing Ltd such as INSURANCE BACKED GUARANTEE will be honoured for a period of up to 10 years and will be issued by an underwriter within 3 - 4 weeks after full payment is received for the works carried out and completed, and it will be posted to you. You will have to fill in the details required on the form and send it back to the underwriter. The Insurance will only cover the works that have been done and completed under the Quotation and not other damages. For TOPSEAL System products the completed installation is guaranteed for a minimum period of 25 years on which the work has been completed. The details of installation will be forward to TOPSEAL Systems Ltd to register the installation for the warranty, and TOPSEAL Systems Ltd will then forward the Insurance documents directly to you. TA Roofing Ltd are very conscientious of our work and would like the opportunity to take photographs of various aspects of works completed. If you object to photographs being taken of your roof when completed, please inform our office in writing. These photographs may be used for TA Roofing Ltd advertising, but be rest assured that no details will ever be revealed as to the identity of the building. *Force majeure is considered to be "an act of God" or an occurrence outside the control of the parties, which impacts or delays the project. Force majeure includes issues such as unusually severe weather, labour strikes, natural disaster, or Governmental actions/changes in law that negatively impact the work.